Virgin Atlantic is a British airline with its head office in Crawley, United Kingdom. The airline was established in 1984 as British Atlantic Airways by Mr. Richard Branson. The company has a very peculiar history. Before Virgin Atlantic was incepted, Mr. Branson had one of the most successful recording firms in America, called Virgin Records. He gave up the company in order to venture into a new and growing sector at the time- Airlines. The airline, comprising of Virgin Atlantic flights and Virgin Atlantic Cargo along with Virgin Holidays is controlled by a holding company, Virgin Atlantic Limited, which is 51% owned by the Virgin Group and 49% by Delta Air Lines. Currently, the company has extended its reach to many product lines from Virgin Cola to wedding gowns and financial services. This British airline, which is headquartered in Crawley, United Kingdom, nurses a strategic vision “to ensure sustainable growth is delivering an irresistible customer experience.”It was voted #1 for UK-TATL customer satisfaction and has flown close to 5.3 million passengers in 2017. It has approximately 9,800employees as of 2018. The Company’s mission statement is “to embrace the human spirit and let it fly”. Virgin Atlantic’s USP or Unique selling proposition lies in being a premium British airlines offering luxury at affordable pricing becoming the first European carrier to offer in flight Wi-Fi across its entire fleet. 1. Strong brand value with top of the mind recall: Virgin airlines enjoys a strong brand reputation and was the only British airline in the global top 10, in a survey conducted by Air Help that included 78 airlines across the globe. This was done to find the best airline based on punctuality, quality and the speed of dealing with compensation claims, where Qatar Airways aced this list. It is very popular and preferred particularly in Europe and North America. One of the largest British airliners, it has a strong and loyal customer base who are very satisfied with the services offered by the airlines. It is recalled as a premium airline brand that offers luxury at a cost effective price. Most of the customers buy tickets based on price – a premium airline with a lower cost is an ideal deal. Hence, brand recognition translates into considerable revenue. In 2017 alone, Virgin flew 5.3 million passengers, transported 230m Kg of cargo and its Virgin Holidays customer base spiked to a record 397K.Virgin became the first European carrier to offer in-flight Wi-Fi services across its entire fleet. They also pioneered in offering accessible in flight entertainment system for the blind customers. With the newly launched transatlantic Joint Venture with Air France-KLM and Delta Air Lines, Virgin expanded to serving over 200 destinations between UK and the US, accounting for 35% share of the total UK-US capacity. 2. Very innovative and unique branding and advertising by Richard Branson: Richard Branson’s antics in promoting Virgin Atlantic were elemental to the brand’s success. A few examples were the Launch of Virgin Cola by driving down Fifth Avenue, New York in a tank. Flying a hot-air balloon or playing a drowning character in a TV Series. In his keynote address at the Adobe Summit in March 2018, he was quoted as saying how his reactive PR stunts were the reason for the brand’s popularity apart from their digital marketing success. When people started stealing the salt and pepper shaker pots from their planes, Richard Branson asked his team to write ‘Pinched from Virgin Atlantic’ on the pots so that it could be a mode of advertisement when the pots reach the dinner table of those who stole them. Richard Branson stresses how important the PR in his organization is with Mr. Will Whitehorn, Virgin’s PR and Communications director as the top paid employee at the firm. Another form of advertisement was when Virgin took on British Airways when the latter was unable to lift off their aircraft from the ground successfully. Branson came up with the London eye titled ‘BA can’t get it up’ which drew instant publicity. 3. Strong north Atlantic network: Nearly2/3rd of the annual revenue of Virgin Airways comes from the North Atlantic region where it is 2nd most popular after British airways. North America and the Caribbean is Virgin’s largest market after the UK. Recent expansions to routes for Detroit and Atlanta and Glasgow have increased focus on this territory and will become the core of Virgin airline's business. Virgin Atlantic dominates routes in the Atlantic region, which account for 83% of its seats and 23 of its 29 routes as of Oct 2017. Virgin's seat share is low at its four UK bases, the biggest being London Heathrow airport. Virgin in fiscal 2017 swapped Detroit service with Delta’s Seattle service to optimize market demand. The British airlines recently expanded their Flybe code share to include their new Heathrow-Scotland services, to beef up traffic on their Heathrow flights and improve travel options for the Scottish customers. 4. Joint venture with Delta: Since Jan-2014, Virgin Atlantic’s North Atlantic routes are now part of a joint venture with 49% of the stake, belonging to Delta Air Lines. With antitrust immunity, the ability to coordinate schedules and pricing should be positive for revenues to be generated. 2Currently, Virgin Atlantic is operating one of Delta’s three daily flights from Delta’s Atlanta airport to London Heathrow with an addition of new flights from Delta’s Detroit hub to Heathrow along with assumption of Delta’s Atlanta-Manchester route. The Delta Joint Venture allowed the carriers to swap two of their US services with daily flights to Seattle now run by Virgin Atlantic, and both London to Detroit flights by Delta, to serve customer preferences. The venture has mutually benefited customers of both carriers by making both players adaptable to customer needs and ultimately improved business. Passenger revenue per available seat kilometre (PRASK) in the fourth quarter of 2017 hiked, reversing several years of PRASK slide. In fact, the last two months of fiscal 2017 witnessed PRASK growth, for the first time since 2014. Virgin Atlantic is optimistic that this trend will continue in 2018.As per the CEO of VA, this venture will make transatlantic more attractive than it used to be. Also, this joint venture has created opportunities for synergies at both ends. 5. Improved IT and support systems: Virgin Atlantic has overhauled its IT systems by outsourcing its revenue accounts, which involved complex inter-airline tracking and billing. WNS, a global business process management company headquartered in Mumbai, India, provided contact centre and data processing services. This included handling e-mails, calls, and mail about reservations, ticketing, fares, baggage tracing, frequent flyer inquiries, and post-flight complaints. 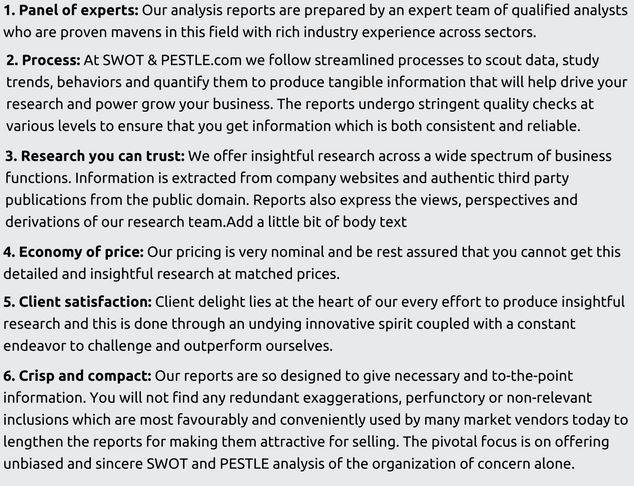 Data processing focused on meal allocation, cabin crew reporting, and cargo revenue management. Virgin has also adopted business intelligence software where users can take advantage of a user-friendly business intelligent software tool which hides the complexity of interpreting data. Virgin Atlantic managers are no longer forced to pour over finished and incomplete reports derived from multiple operational sources to track customer activities and entitlements. In short, Virgin Atlantic's users are in control of their data. This has decreased the human efforts and increased the efficiency along with easing the service delivery to the customers. The Commuter service space has been the Virgin group’s latest muse. They have invested in a fully apprised mobile app that is capable of self-service booking technology and updated kiosk functionality. IT Support systems were also an important investment by Virgin including a new tablet devices for the cabin crew of all Virgin Flight Service Managers that enable them to provide a better and customized passenger service. 1. Brexit caused Political Turmoil: The year2016 proved to be a remarkable year for Virgin Atlantic in circumventing a threatening political situation of arsonist hostility in prime areas like Paris, Nice and Brussels. In June 2016, the fact that Britain had opted to boycott the EU which has now been popularly termed ‘Brexit’, sent waves of political and economic disturbances across all member countries of the European Union, including Britain itself. Quite expectedly, the Scottish Prime Minister Nicola Sturgeon announced a poll yet again in order to safeguard the welfare of the people of Scotland in the EU. The possible indications to boycott the EU by Britain were several even before it actually happened. The UK Government formally notified the European Council of its intent to exit from the European Union (EU) in March. The UK will divorce from the EU on 29 March 2019 with the separation formalities expected to last approximately two years. Virgin Atlantic’s top priority is securing liberal market access between the UK and US when the UK is no longer party to the EU-US ‘Open Skies’ air service agreement. Remaining under the aegis of the European Air Safety Agency (EASA), which is the current body regulating air traffic and operations, is also important. Virgin’s effort to co-ordinate between the two governments has borne fruit and it is expecting new arrangements to be agreed by 2018. 2. Ambiguity in Future trade policy: The fact remains that Britain has not charted out their new future trade policy for industries to do business with Europe and the rest of the world. Britain has not clarified the polices of the new and liberated Britain would be in favor of those companies who work in sectors that rely heavily on the clout of the European Union like aviation. However, these questions will be answered only in early 2019, when the new policies are to be rolled out. This has proved to be a source of ambiguity for sectors like Aviation who need to plan their sustainability at least 2 or 3 years in advance. In the event that the policy is not aligned with the company’s strategy, several dollars will need to be sent in transition costs and Change management. 3. Government approved new Heathrow runway: In 2016, the government approved Virgin Atlantic’s plan to introduce a new runway at London Heathrow Airport. This comes in the wake of Brexit and will be a welcome decision for the company. Virgin Atlantic derives a major chunk of its revenue from UK-US air traffic. It is also the leading airline in terms of customer satisfaction in this geography as per the company’s Annual report 2017.The new runway has helped them add new routes from Manchester, a daily service to Seattle, code share options with Flybe airlines for flights to Heathrow and also with jet Airways for Trans-Atlantic flights. Air France – KLM, Delta Airlines, Virgin Atlantic Airline 2017- underway Joint Venture Air France-KLM will buy a 31% stake in VA for £220 million. A definitive agreement has been signed by these three carriers to take their trans-atlantic JV ahead. Regulatory approvals are left for this JV to come in to effect. 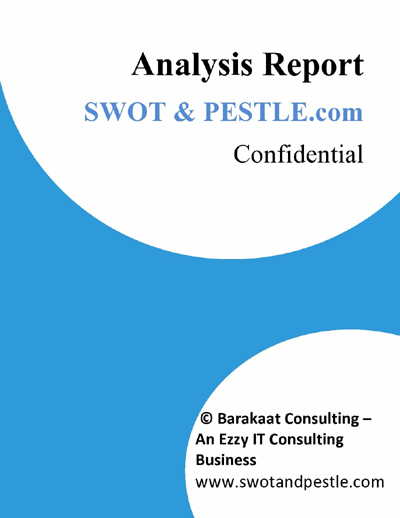 Virgin Atlantic SWOT and PESTLE analysis has been conducted by Prateek Moroney and reviewed by senior analysts from Barakaat Consulting. 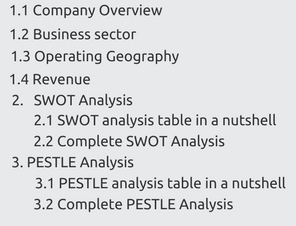 Copyright of Virgin Atlantic SWOT and PESTLE Analysis is the property of Barakaat Consulting. Please refer to the Terms and Conditions and Disclaimer for usage guidelines.